The heart of our firm is the talented team of individuals who personally handle each case. Throughout legal proceedings, we’ll work with you one-on-one, giving you the comfort and flexibility of a small law firm with the history and experience of a much larger one. 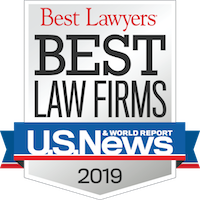 Principal members of our team are distinguished for their inclusion in The Best Lawyers in America, their reception of the AV “highest” rating from Martindale Hubbell and their Inclusion in Ohio Super Lawyers. Two members of our team are Fellows of the American College of Trial Lawyers. We invite you to learn more about each of our team members, listed below.